This past weekend Sarah and I were blessed to have all three of our grandkids with us. 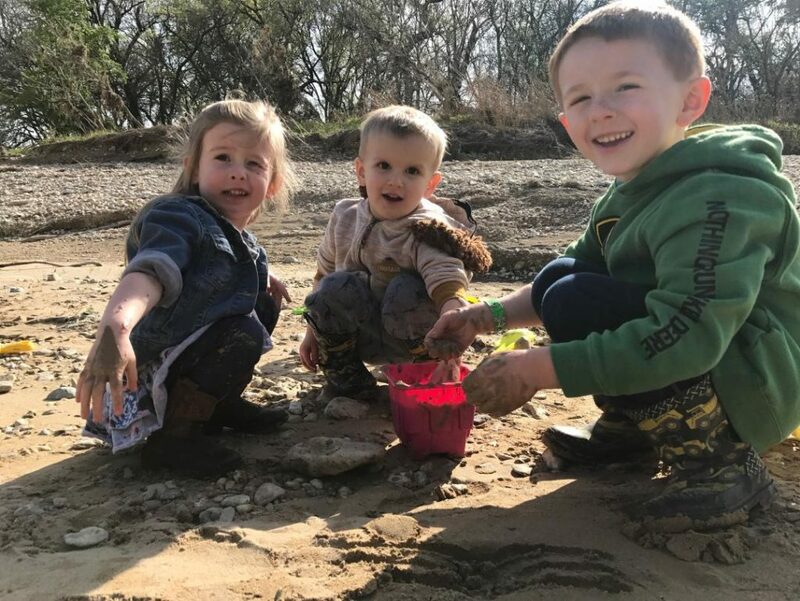 Sarah took them down to the river to play in the sand. I am still using a cane with a walking boot so I passed on the adventure…but they did send me a picture of the great time they were having. Check out those smiles. Why can’t we all just enjoy the little things in life like kids do? We used to have that true joy in our hearts, but somehow that has escaped us. As they say “life kicked in”. The Bible tells us that we should “rejoice in the Lord, and be joyful in God our Savior”. I for one am going to start focus on being more joyful. There are so many things that bring me joy…I am going to intentionally spend time with them. I would recommend you do the same.